Virgil “Dave” David Morris, age 71, of McCook, NE passed away Tuesday, March 26, 2019 at the Community Hospital in McCook. Dave was born February 14, 1948 in Henderson, IA to parents Jake D. and Roberta (Pendergraft) Morris. He was one of five children who grew up in Iowa, graduating from Nishna Valley High School in Emerson, IA. 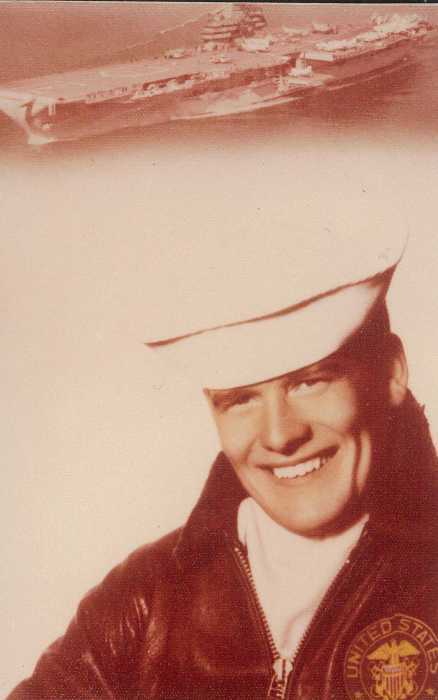 Dave proudly served his country in the United States Navy from 1967 to 1973 when he was honorably discharged. He was a member of the VFP 63 photo squadron where he worked as a fighter jet mechanic aboard the USS Roosevelt. Dave was also a star on the naval softball team at Miramar Naval Base in California. Prior to his many years of running a very successful business hauling fertilizer and agricultural products, Dave was a master mechanic for Everready Battery in Red Oak, IA. He specialized in working with foreign based manufacturing equipment. Dave enjoyed spending time in his shop, working on his semi, other vehicles and projects. He also raised Brittany Spaniel hunting dogs which he trained to hunt. Dave had a love for the outdoors, hunting and fishing. Dave was a member of the Lutheran Faith. His grandchildren were his pride and joy, and he enjoyed spending time with them. His Boston Terrier, Sissy, was his best companion. Dave was preceded in death by his parents; his brother, Rick Morris; and his sister, Lou Ann Stensvad. Those left to celebrate his life include his three sons, Robbe (Melisa) Morris of Sanford, FL, Eddie Morris of Shelley, ID and Max Morris of Danbury, NE; brother, Randy (Leslie) Morris of Waverly, IA; sister, Barbara Brown of Council Bluffs, IA; grandchildren, Caeden Morris, Jacob Morris, Zoey Morris and J.D. Morris; as well as numerous nieces, nephews and extended family members.